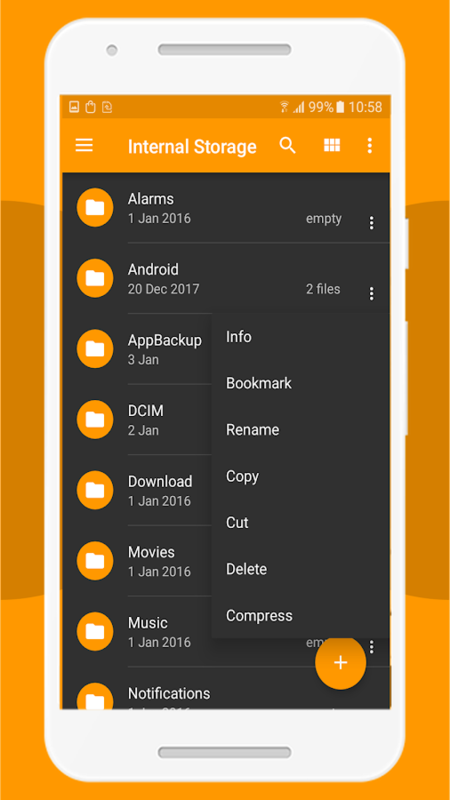 File Manager + is easy and powerful file explorer for Androiddevices. It’s free, fast and full-featured. Because of its simpleUI, it’s extremely easy to use. 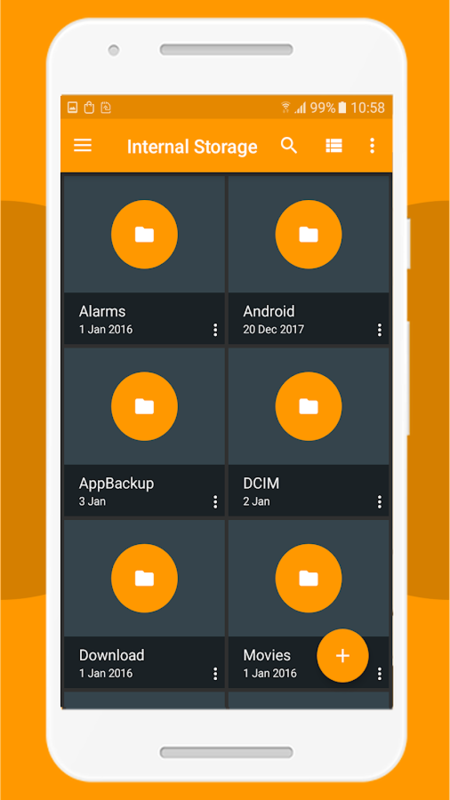 With File Manager +, you can easilymanage your files and folders on your device, NAS(Network-attachedstorage), and cloud storages. 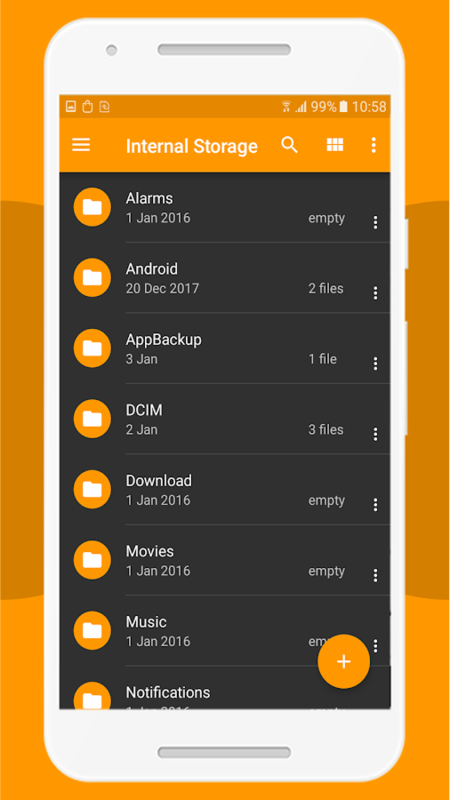 What’s more, you can find how manyfiles & apps you have on your device at a glance immediatelyafter opening File manager +. It supports every file managementactions (open, search, navigate directory, copy and paste, cut,delete, rename, compress, decompress, transfer, download, bookmark,and organize). File Manager Plus supports media files and majorfile formats including apk. Major locations and functions of FileManager Plus are as following: • Main Storage / SD card / USB OTG :You can manage all files and folders on both your internal storageand external storage. • Downloads / Images / Audio / Videos /Documents / New files : Your files and folders are automaticallysorted by their file types and characteristics so that you caneasily find exactly the file you are looking for. • Apps : You cansee and manage all applications installed on your local device. •Cloud / Remote : You can access your cloud storage and alsoremote/shared storage like NAS and FTP server. 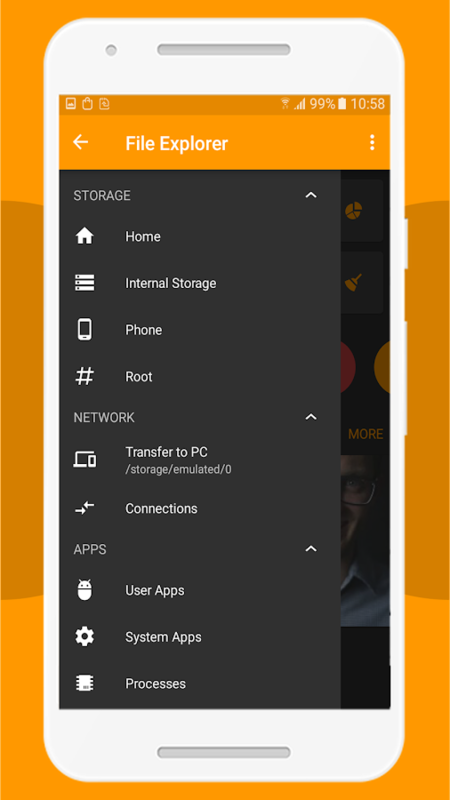 (Cloud storage:Google Drive™, OneDrive, Dropbox, Box, and Yandex) • Access from PC: You can access your android device storage from PC to managefiles on your local android device using FTP(File TransferProtocol). • Storage analysis : You can analyze local storages toclean up useless files. You can find out which files take up themost space. • Internal image viewer / Internal music player/Internal text editor : You can choose to use built-in utilities forfaster and better performance. 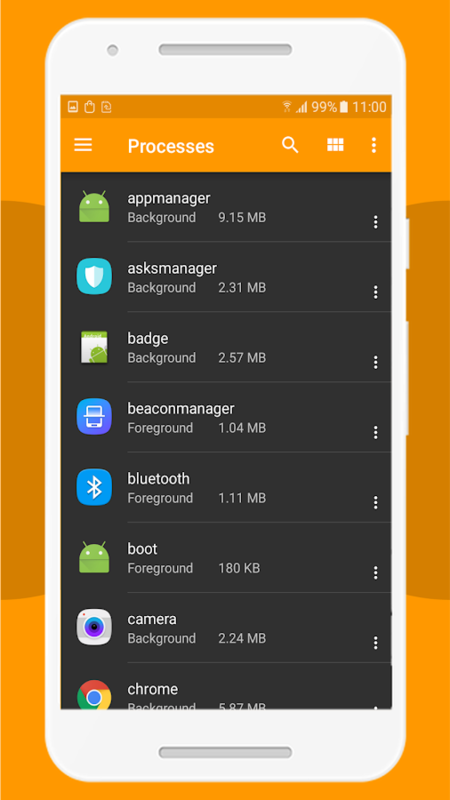 HTC File Manager makes it easy to find, browse and organize fileson your phone, SD card or USB storage. Heart items to add them toyour favorites, search for files by name and select multiple filesor folders to cut, copy, delete, rename or move. HTC File Manageris the window into your storage space. Features: - Heart folders orfiles to add them to your favorites - Search your files and folders- Cut, copy, paste, delete, rename and move files or folders -Create new folders - Filter by file type - Sort by name, date orsize - Share your files HTC, the HTC logo and other HTC product andservice names referenced in the Application are the trademarks orregistered trademarks of HTC Corporation in the United States andother countries. Any other company names, product names, servicenames and logos referenced in connection with the Application maybe the trademarks of their respective owners.